From April 30 to May 4, 2018 the conference “48th Jírovec’s Protozoological Days” took place in the village Kunčice pod Ondřejníkem, Czech Republic. 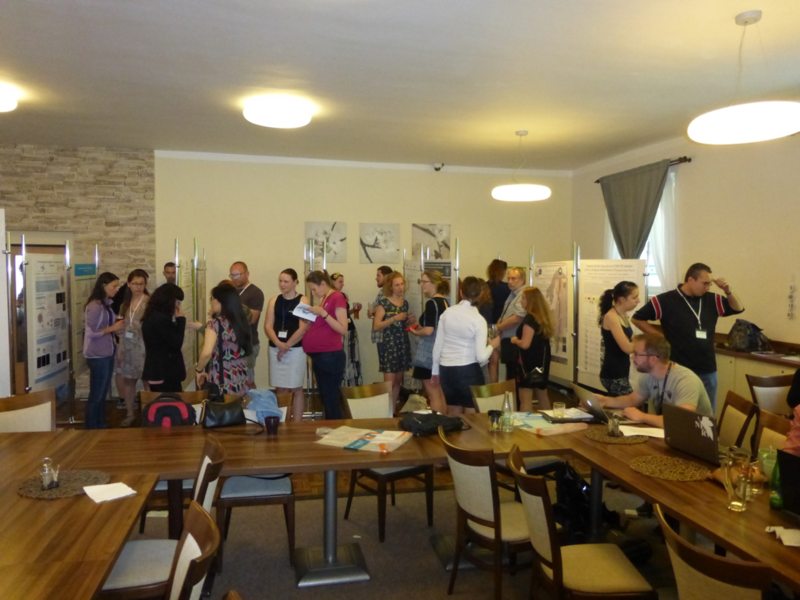 This is the annual meeting organized by one of the Czech universities under aegis of the Protozoological section of the Czech Society for Parasitology (CSP). This year the University of Ostrava (Dr. Alexei Kostygov) was responsible for it. The main sponsor of the conference was the International Society of Protistology, whose financial support allowed inviting five leading scientists to give lectures (a record for the Protozoological Days!). Those were: Dr. Mark Carrington and Dr. Luděk Kořený (both from University of Cambridge), Dr. Javier del Campo (Institute of Marine Sciences in Barcelona), Dr. Matthias Fisher (Max Planck Institute for Medical Research), and Dr. David Bass (Centre for Environment, Fisheries and Aquaculture Science and the Natural History Museum). All PhD students with ISOP membership had additional discounts for the conference fee. The pre-graduate student with oral presentation (there was only one ISOP member of such kind) received reimbursement of the expenses for accommodation and meals and paid no conference fee. In addition, the conference was supported by several commercial sponsors (Macrogen, Trigon plus, s.r.o., Schoeller Instruments, s.r.o., VWR, Elisabeth Pharmacon, LabMark, Eurofins Genomics and Olympus), as well as the scientific journals “Parasitology” and “Parasite”. The support of Council of Scientific Societies of the Czech Republic allowed providing discounts to the members of CSP. The number of participants was higher than in previous years that documents growing community of protistologists in the Czech Republic. In total, there were 90 participants (including 17 members of CPS and 19 members of ISOP), 42 talks (20 of them by students) and 22 posters (18 of them by students). As in previous years, the official language of the conference was English. Importantly, this was the first conference of its kind with all three main members of the ISOP (president, vice-president and Executive Secretary) to be present. By tradition, two students were awarded for the best oral presentation and for the best poster (Kateřina Poláková from the Charles University in Prague and Hana Váchová from the Institute of Molecular Genetics of the ASCR in Prague, respectively). There was also a special prize for the best student parasitological presentation – the certificate for a free publication in the “Parasite” journal, which was granted to Tomáš Kovalinka from the Comenius University, Bratislava. Fig. 1. Participants of the meeting. Photo by Pavel Flegontov. Fig. 2. Discussions during the poster session. Photo by Anton Horvath. Fig. 3. Conference trip to the oldest part of the Wallachian Open-Air Museum in Rožnov pod Radhoštěm, the Little Wooden Town. This beautiful place embodies the distinctive spirit of a vernacular Moravian municipal architecture of the late 19th and early 20th century. Fig.4. 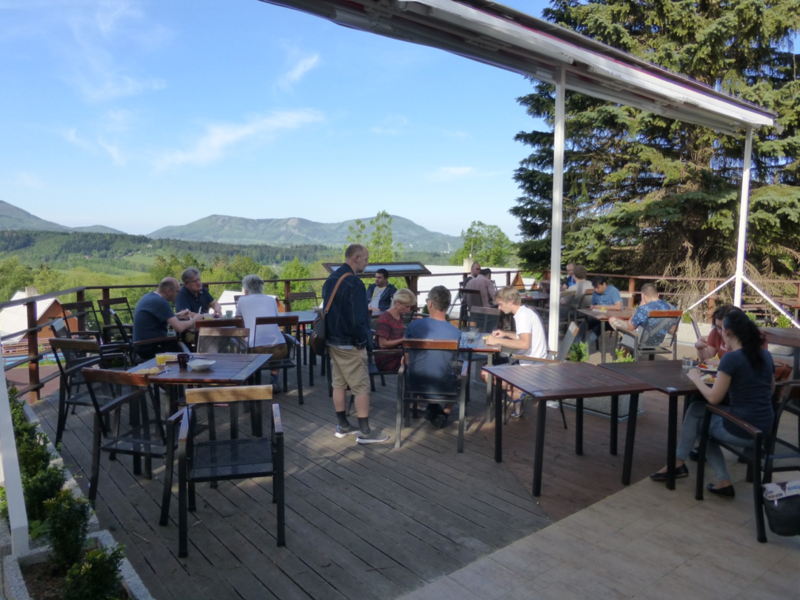 Participants were enjoying the sunny weather and spectacular panorama of Beskydy mountains during lunches. Photo by Anton Horvath.